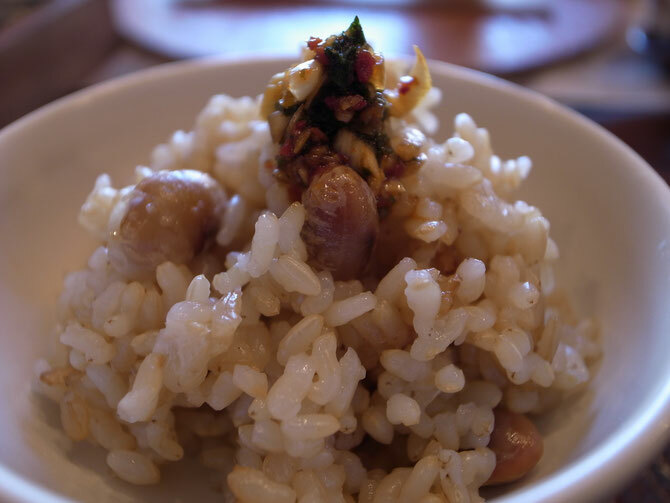 Brown rice with roasted soy beans. I cook brown rice more often than white rice because it is better for my diet. To be honest, I did not like brown rice before. 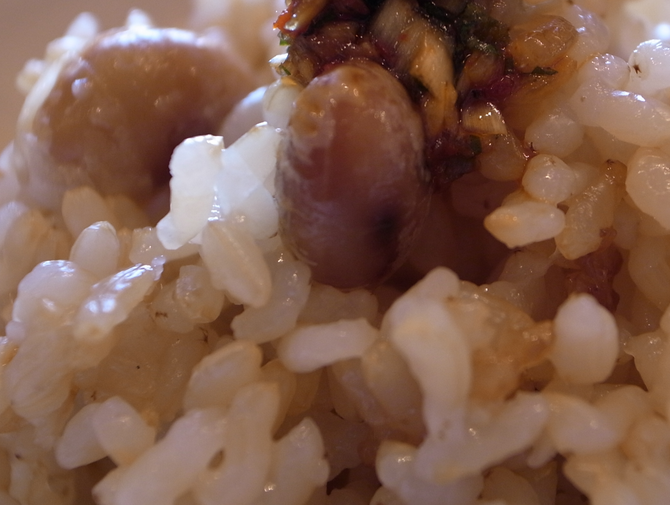 However, since I started using pressure cooker for cooking brown rice, it becomes my favorite. Besides using pressure cooker, another important thing to remember cooking brown rice is to soak the brown rice very much in water which is about a half day to a day. This time I added roasted soy beans and put original condiments inspired by Korean foods. Aroma from roasted soy beans makes the dish more delicious and you can sense the natural taste from all the ingredients. If you want to know a precise recipe for cooking brown rice on pressure cooker, please let me know.